Convert documents with virtual printers. Convert documents by command line. The professional version of Document Printer is named Document Converter (docPrint Pro) that provides two more methods of converting documents than Document Printer. Document Converter has all the functions of Document Printer including the two virtual printers. Document Converter has all the functions that are developed in Document Printer. It has the two virtual printers, docPrint and docPrint PDF Driver. With the two virtual printers, you can convert a printable document to more than fifty formats. Visit Document Printer's page to get more information about the functions. Document Converter provides a graphical user interface (GUI) for converting documents of commonly used formats into popular formats. With the GUI, you can set the conversion options and implement batch conversion operations. 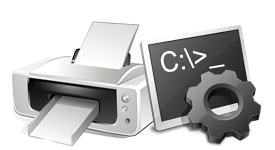 As the professional version of Document Printer, Document Converter has a command line supported executable in the installation directory. With the command line operation, you can get more flexible operation options and use the application in situation, for example, within batch script. Convert Microsoft Word, Excel, PowerPoint, Visio, RTF, TXT, PDF, PS and EPS to PNG, PCX, BMP, JPG, TIFF, EPS, PS and PDF in batches by a GUI. Drag and drop to add source files. Option to view created files after conversion. Various color depths, 1, 8 and 24 bits, for image conversion. Customize image resolution in DPI for image conversion. 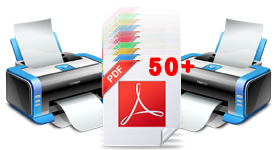 Option to combine multiple PDF files to one single one for PDF conversion. No need for third-party PDF creator or reader software. Option to customize directory for saving converted files. Option to edit PDF description, title, subject, author and keywords, for PDF conversion. Option to protect PDF with 48 or 128-bit encryption. Monitor and process files in specified directories in unattended mode. 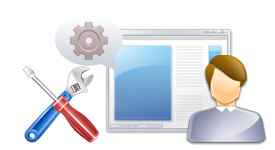 Convert documents of DOC, DOCX, PPT, PPTX, XLS, XLSX, VSD, PDF, HTML, RTF, TXT, etc. to PDF, PS, EPS, JPEG, TIFF, PCX, PNG, GIF, TGA, BMP, DCX, WMF, EMF, XPS, PCL, TXT, and so on by a command line tool. Batch conversion with batch script or wildcard characters. Option to edit PDF property like title, subject, author and keywords, for converting to PDF. Option to protect created PDF with 48 or 128-bit encryption. No need for third-party PDF maker or viewer software. Option to redirect print job to another printer. Option to specify a printer for printing. Option to set page header and footer in conversion from HTML to PDF. Option to set page margins in conversion from HTML to PDF. Option to merge multiple PDF to one. Option to convert specified pages. Support 1, 8 and 24-bit color depths. Various compression methods for converting to TIFF. Option to convert documents to fax compatible TIFF. Option to rotate page in conversion. Option to change paper orientation. Option to set image resolution for image conversion. Option to specify page width and height in a unit of pixel for converting to image. Option to fit pages to standard paper sizes. Provide special options for processing Microsoft Excel sheets. Option to delay printing to waiting for rendering HTML webpages.